When my family and relatives get together every year to celebrate Easter, we are thrilled for the blessing to be able to get together to reconnect and catch up with loved ones. The Sunday festivities always revolve around a ham as the main dish, and weather permitting, the little ones will hunt for Easter eggs hidden around the house or outside in the yard. I’ve never cured a ham and have been looking for an excuse to use the pink salt I ordered from Amazon that was languishing in my pantry. 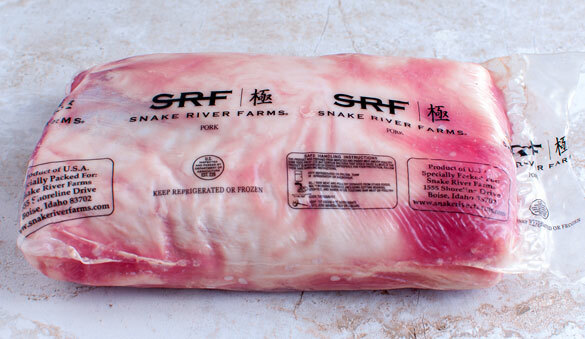 My chance came when the kind folks at Snake River Farms sent me a couple of their Kurobuta pork loins. Earlier in the week, I had made one into a terrific spiral stuffed loin and then I had a brainwave to cure the second one as the “ham’ for Easter. After curing the loin in a brine for 2 days in the fridge, I rolled it into into a log and trussed it with some Butchers twine. 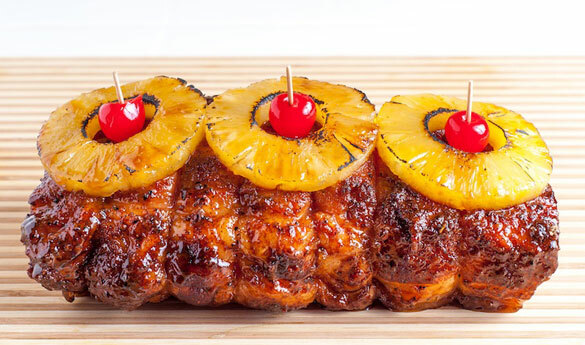 The log shape makes it easier to slice and plate the pork. 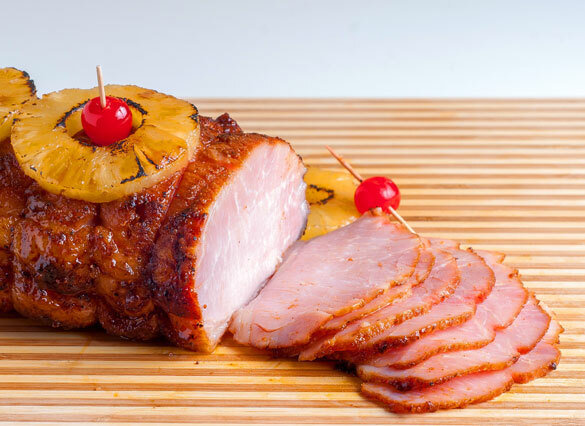 I smoked the cured “ham” in my trusty Weber Smokey Mountain and glazed it with some fruity pineapple glaze. 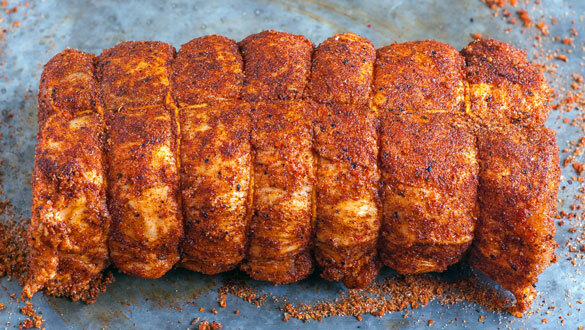 Read on if you want to see how a pork loin can, through some Butcher twine and some creativity, masquerade as an Easter Ham! 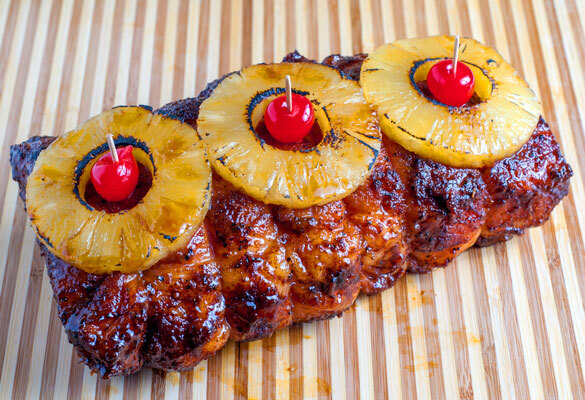 Harry, the Pineapple Pork Loin recipe looks good, but I do not have a scale to measure grams. Can you provide the equivalent measurements in the typical tbs, tsp, etc measurements. i have to ask for dry measurements please we do not all have scales.. I tried this recipe for Easter dinner and WOW was it a hit. Thanks Harry. Looks great and I want to make this but I have a question. 8 teaspoons of pink salt seems really high. I have always read 1tsp per 5lbs of meat for pink salt cure # 1. Will you confirm the amount? The cure for brine is different than a rub cure. The recipe takes into consideration the total volume of water and meat involved. 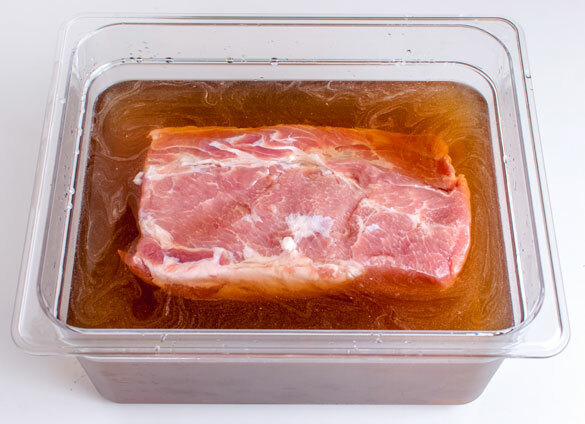 As the amount of sodium nitrate absorbed into the meat will be proportional to the amount thrown out with the leftover brine the amount in the meat is considerably lower that the total amount used for the recipe. Having said that the amount of 8 teaspoons for this recipe seems slightly high although still within safe limits. 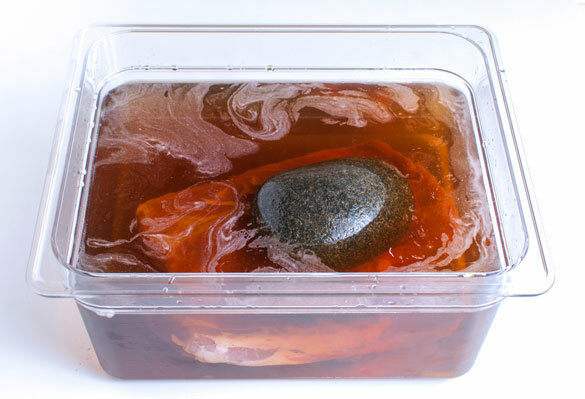 When I first started using brine’s I followed the 1 tsp per 5 lb rule and it made for some nasty Canadian bacon so I studied up on brine’s and now have no problems with them. I prefer rubs because you save a lot of cure with them.